The Banco Central de Chile issued Chilean Peso banknotes in 5 different denominations, including this 1000 Chilean Pesos banknote (Ignacio Carrera Pinto). They are part of the current Chilean Peso banknotes series. The Banco Central de Chile started issuing these 1000 Chilean Peso banknotes in 2010. They are currently still in circulation. 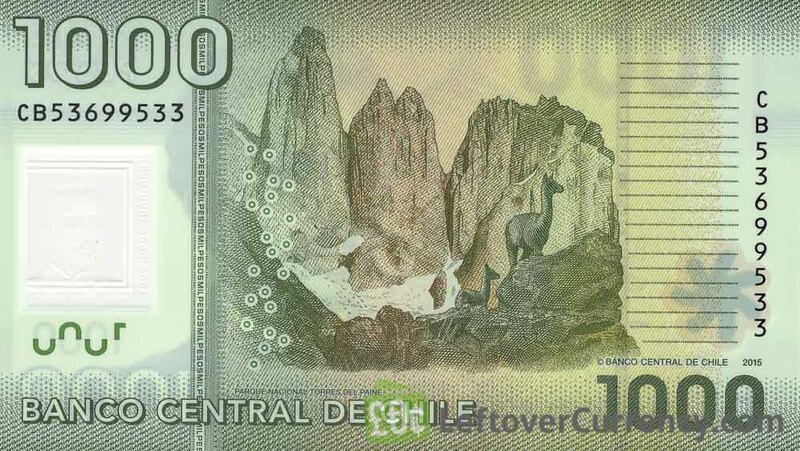 The lowest value banknote of Chile is the 1000 Pesos banknote. On the front side of the CLP$1000 banknote is the portrait of war hero Ignacio Carrera Pinto. The back side features the snowy mountain peaks of Patagonia. Repeat these steps for any other notes and coins you want to exchange. Complete checkout and get paid within 5 days of receiving your currencies. 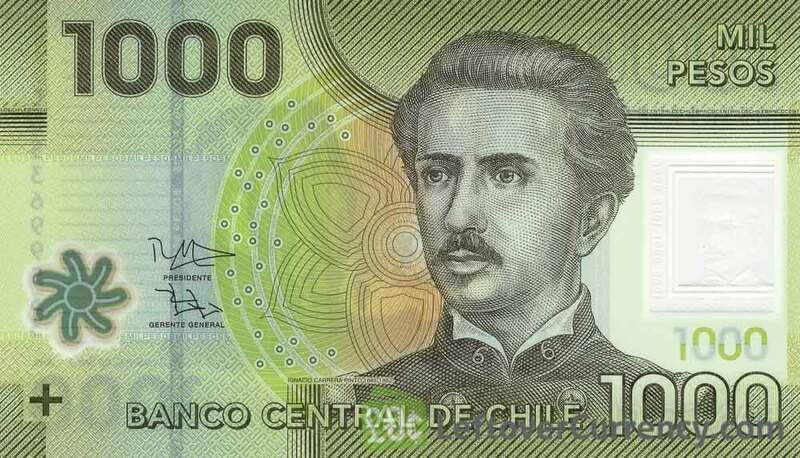 To exchange your 1000 Chilean Pesos banknote (Ignacio Carrera Pinto) for cash: add it to your wallet now!